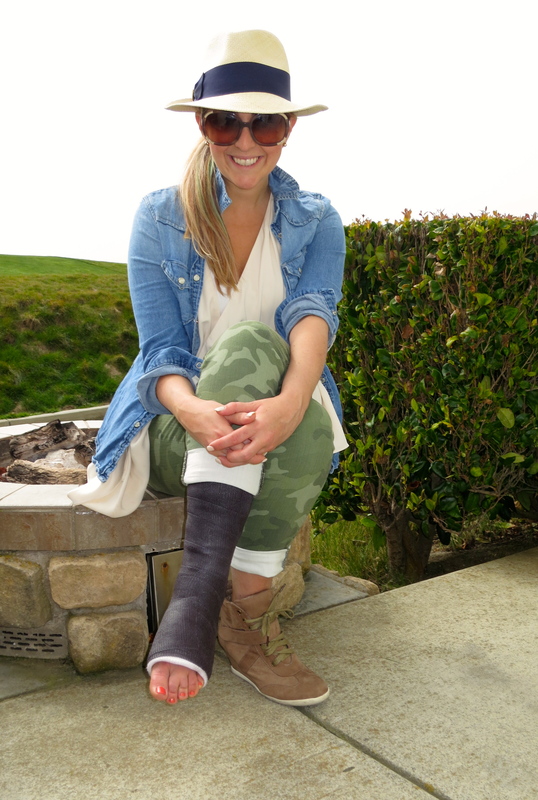 I really thought I was doing a good job camouflaging my cast in this look…until I broke out my crutches to get up! Top: Ever (What happened to this brand? Purchased at Barney’s and never seen again). Jeans: Gap, 1969 Printed Always Skinny Skimmer Jeans, camo. Cast: Another Dr. Chen masterpiece. 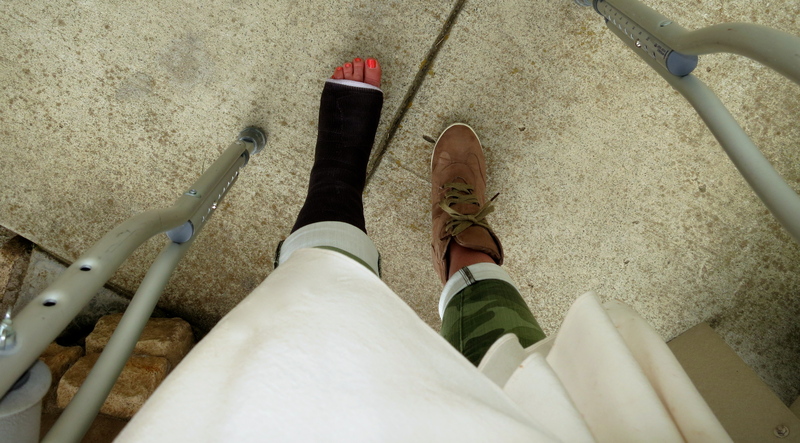 Are you loving my Gap camo skimmers ? Or just as obsessed with Gap’s chambray woven shirts the way I am? Well it’s that time of the year again my friends where I can share by fabulous Gap employee discount with you! Just follow KatWalkSF.com and leave me a comment! You will receive your Gap, friends and family coupons by Wednesday evening, just in time for the sale on Thursday! The coupons are good in store & online and if you are in SF come shop in SF and see me!